Our staff rely solely on your support to fulfill the mission of Heart of Africa. Please make a donation of any amount to a staff member to support our work. Mike Henderson is a teacher. His passion is to share useful information with his friends—especially African Christian entrepreneurs. He writes books, conducts seminars, designs courses, mentors promising African leaders, and directs the work of Heart of Africa. He travels to Africa several times each year to hold conferences, encourage his African colleagues, and listen to their struggles to accomplish the vision God has given them. The settings in which Mike has taught vary from a one-room schoolhouse in the back woods of Maine to a graduate school in Kenya. He was a professor of Christian education in two American universities and has served as pastor/teacher in a number of churches, both large and small. His favorite teaching context is one-to-one, man-to-man, preferably around a campfire. He holds graduate degrees in theology, history, instructional design, and adult education from Asbury Seminary, Yale University, and Indiana University. 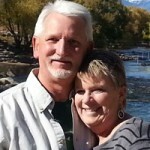 Mike and his wife Martha live in Wilmore, Kentucky, and Friendship, Maine. They have three grown children (Joe, Kathryn, Laura) and eight grandchildren. Tom and Laura Garrett have a passion to help Christian African leaders fulfill the vision that God has placed on their hearts. Both are graduates of Asbury University with Tom majoring in Bible and Philosophy and Laura in Christian Education. Tom furthered his education in Biblical Studies and Pastoral Care at two American seminaries. The Garretts have been involved in the rescue and care of marginalized children both in the U.S. and in Africa for a number of years. Laura’s special concerns include infants, children, and hurting women. She has been a Bible teacher, led several womens’ groups and workshops, and been a foster parent and group home parent. Tom’s stated life purpose is to be used of God in bringing people to Christ-like maturity who will in turn be used of God to bring others to Christ-like maturity. 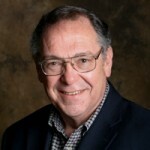 He has initiated unique ministries to at-risk children, helped start churches, served on the pastoral staff at churches, and been used to develop small group ministries both in the U.S. and in Africa. When in America, Tom and Laura call Granbury, Texas “home.” In addition to dozens of assumed children, the Garretts have two adult biological children (Jeremiah and April) and a growing number of grandchildren. Hazel Seavey coordinates the ministries of Heart of Africa for vulnerable African women. Among the most neglected groups of people in Africa, widows face daunting challenges just to survive, much less to provide for their families and make a contribution to the welfare of the community. Hazel and her husband Keith live and work in Washington, Maine, but she regularly travels to various countries in Africa to help women start their own businesses and work together for their common welfare. Most of her work to date has been with groups of widows in Southern Sudan in partnership with Pastor Michael Gatkek and his African Relief Ministries. However, in 2014 she met with groups of widows and women who had recently been released from prison in both Kenya and Uganda. As she has done in Sudan, Hazel will train them in micro-business, organize them in cooperatives of 30 women each, give them each a loan to start their businesses, and provide them with materials for spiritual and personal growth. Bryce Toole is Director of Operations. He manages the logistics of serving the ministry needs of our African partners as well as our American donors. He oversees travel, procurement, shipping, communication, and project supervision. 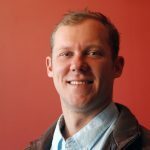 Bryce is a graduate of Asbury University with a degree in Adventure Leadership and is a member of Mt. Zion United Methodist Church near Shaker Village, Kentucky. He has a heart for agriculture and loves meeting people. Visit and 'Like' our Facebook page for the latest news and information on our work.